Today we’d like to introduce you to Jet Rhys. Jet Rhys Salon was founded in 1992 by Jet and Rhys two former Vidal Sassoon hair specialists from New York. 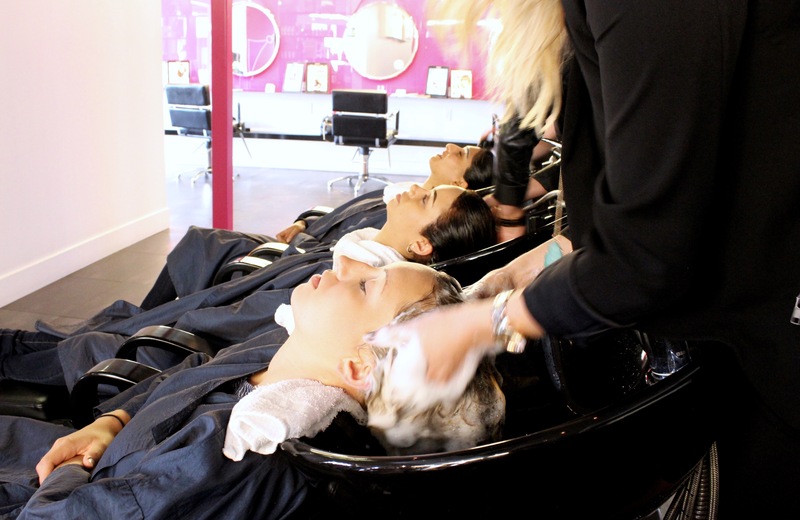 They have more than 25 years of experience working and teaching in Vidal Sassoon academies and salons, but are perhaps best known for their hip and modern approach to beauty and fashion. Prior to founding Jet Rhys Salon, the pair traveled on the Vidal Sassoon International Show Team teaching and inspiring hairdressers in London, Japan, Mexico, Australia, and Europe. Not only has Jet Rhys Salon styled hair for Mercedes Benz Fashion Week, but have been featured in numerous fashion and beauty publications such as Harper’s Bazaar, Allure and W Magazine. Jet and Rhys were also recently recognized by Elle magazine as one of the top salon teams in the United States. With any business, there will be some bumps and challenges. Moving from New York City to beautiful San Diego has been such a positive experience that afforded us the opportunity to open Jet Rhys Salon, which originated in Hillcrest, San Diego. We loved the neighborhood and the vibe of the location. After some time, we realized that the parking Hillcrest was a huge challenge for our clients. There were no parking lots available and the meters only allow two hours maximum to park. Parking tickets were a buzz kill for us and our beautiful clients which I felt absolutely ruined the entire Jet Rhys experience. It was essential that we find another location that had ample parking and easy access to all freeways. We searched everywhere in San Diego and found our perfect space in Solana Beach. We couldn’t be happier. We’d love to hear more about Jet Rhys Hair salon. What do you get when you combine a world-class colorist and image-making guru with a precision haircutter and global educator? Jet Rhys Salon in Solana Beach! Jet and Rhys, the salon’s co-owners, have taught on stages at hair shows around the world and are proud to have been selected for the ABC Premier Event at the Shrine Auditorium to style the stars of hit TV shows and satisfied thousands of local style aficionados. Known for her upbeat wit, and her innovative, unparalleled passion for color, Jet’s motto is, “look, study and attack.” An absolute maestro in working with natural color and skin tones, eyebrows, hair texture and bone structure to create a harmonious, signature style. She evolves the looks of the clients in her chair based on honest beauty. It starts with creating the perfect, healthy canvas for color. Jet focuses on the ideal image evolution. Rhys’ cult following comes from his ability to read hair like a book. His precision cuts and incredible styles are as personalized as DNA, which is why clients drive hundreds of miles just for a Rhys haircut. Also, focusing on style evolution, he has the ability to make changes that work with lifestyle shifts, switching from short textured cuts to long swingy styles with ease. If you are transitioning lengths or layers and have problems with grow-out, Rhys is the go-to guy for the fix. Jet Rhys’ styles and advice have been published in national consumer publications, including Allure, Elle, Vogue, Self, Cosmopolitan, Harper’s Bazaar, and Seventeen. She has also been featured on high traffic websites such as Daily Candy and Pop Sugar. 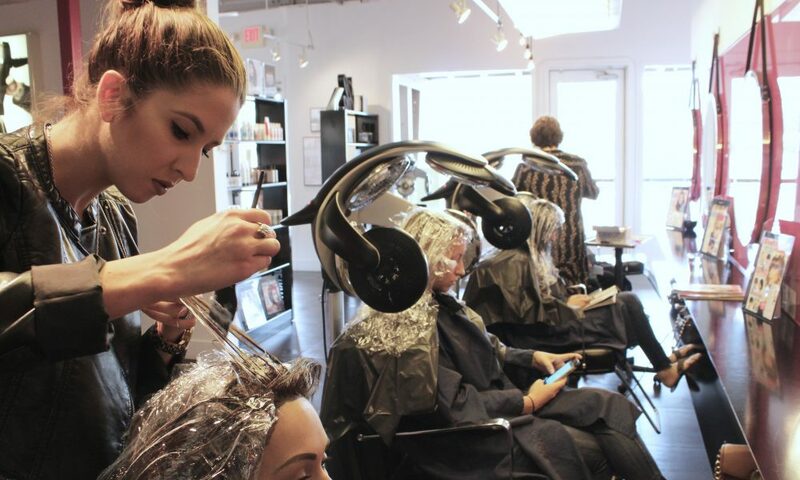 Their eclectic, creative, San Diego salon is as welcoming and relaxing for celebrities, as it is for their diverse clientele. Known as the beauty destination of those in the know, Jet Rhys’ team is as highly trained in their respective specialties as they are in business, client care, and etiquette.